As usual, summer is flying by way too fast. It won’t be long before all our green leaves turn to browns and reds and the temperatures start to decline. Summer is almost over, which means it’s time to start checking things off your summer to-do list. Hopefully you’ve been too busy enjoying the warm weather to even think about chores! If you haven’t taken a summer vacation yet, now is the time. Even going away for the weekend counts! Visit an outdoor waterpark, go camping, visit an amusement park, or just spend the weekend at a cabin on the lake. Enjoy the summer weather while it lasts! 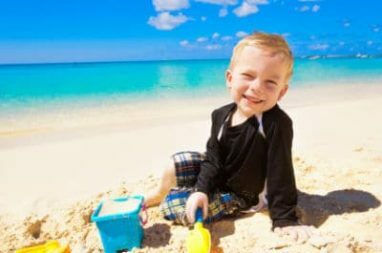 If you need ideas for your late-summer vacation, check out our blog post on family-friendly vacation destinations and learn how to save money on gas during your summer road trip! Even if you’re not a beach person, summer will be over in a flash. Make it a point to go to the beach and enjoy a day on the sand. Maybe you can help your kids build sandcastles or you will read a book under the blue sky. Whatever you do, you will be glad you went when the snow starts falling! Whether you need to clean out your garage and get rid of boxes or junk lying around, or maybe you want to get rid of that unwanted vehicle taking up space in your garage stall, we can help. Wheels For Wishes accepts unwanted vehicles and helps turn them into wishes for local kids. Not only can you get rid of a vehicle taking up space, but you are contributing to the green movement by allowing your vehicle to be recycled and reused. You are also helping local kids at the same time. Wheels For Wishes benefits your local Make-A-Wish, so it’s a cause you can feel great about supporting. Just call us at 1-877-431-9474 or fill out our easy vehicle donation form. Don’t waste time selling or trading in a vehicle when Wheels For Wishes can take care of all the work for you. Use your extra time to enjoy the rest of the summer! Many cities hold clean-up days all around the United States, which is an excellent time to get rid of unwanted furniture, appliances, toys, etc. Most clean-ups go all summer and into September or October, so be sure to find a clean-up date in your city. Most city websites have clean-up dates listed. You may also consider getting involved in keeping your city clean and green by arranging a day for picking up trash or planting flowers. If your yard is in great condition and you have no other projects to work on, consider stepping outside of your yard and volunteering to pick up trash at parks, in ditches, parking lots, etc. Volunteering in your community is just one of the many ways to make use of the warm summer months! Donating a vehicle to Wheels For Wishes saves you time and money, and it also saves you loads of stress and frustration. Who wants to deal with selling a vehicle during the warm summer months? Then again, who wants to deal with it when it’s cold and snowy outside? Why not just skip the whole process all together? Just donate your used vehicle to Wheels For Wishes, benefiting Make-A-Wish, and let Wheels For Wishes take care of all the work. If you have a vehicle to donate, please call us at 1-877-431-9474 or fill out our easy vehicle donation form. Both ways only take a few moments of your time, so you can get right back to enjoying the rest of the summer!